You hear the words coaching and mentoring and if you are anything like me in the early days, you wonder why on earth you need it. You feel capable of going it alone so again, why do I need coaching and mentoring? Well, that was a question I asked when I decided to start my own business. First I started selling books door to door in my university days (I listened to my well meaning family, got scared and gave in!). I asked it again when I wanted to start a health and beauty centre (I was too scared to get started so I made lovely plans then quit!). I asked it again when I started a network marketing business (I failed!). I asked it when I started to teach people to sing from home (I never expanded and quit!). Then I got serious. I did not ask that question when I started my property business, I just went and got coaching and mentoring and training. Guess what happened this time? I became financially free within two years and was able to quit my pharmacy job and do my business around my princesses. I still use a coach right now to keep me on track with my goals and ensure I live a well rounded life. 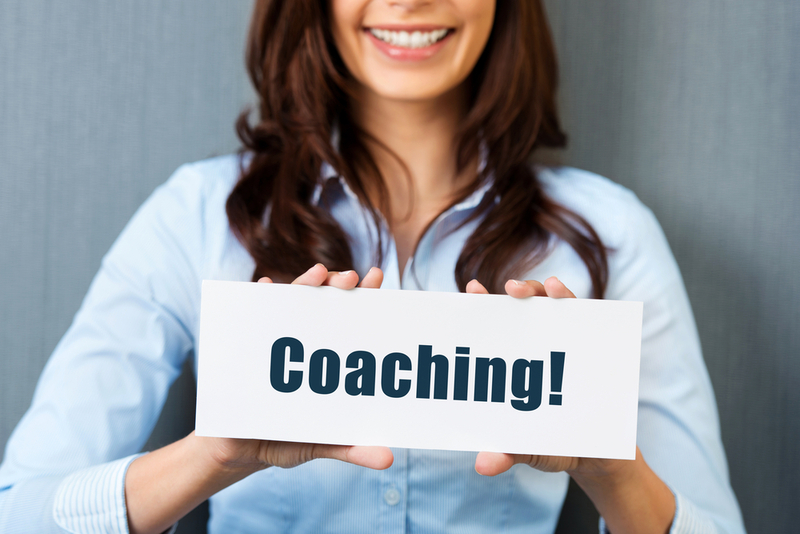 So you may be asking what you need coaching and mentoring for and these are three reasons you need it. How do you decide which way to go? Whether in starting or building your business? or in building your life? If you are anything like most of the forward thinking people on the planet, you have a lot of ideas, you make a lot of plans and yet, you lack follow through. You lack follow-through because you get overwhelmed by all the things you could or should do. If you are a mum trying to build a business, then this is usually worse for you. In your head, you kind of know what you want but what you want is battling with what you need to do right now, whether it is with the kids, your partner (if you have one), your own dreams, your extended family and more. You find it hard to decide on one course of action because you are not sure which is the best thing to do. At night, you find yourself getting clear on the next step but then in the cold light of day, you find yourself too stressed with the things right in front of you to even vaguely feel confident about doing anything about anything. Coaching, in particular, will help with that. Having someone external to your situation and life enables you to clearly see the whole forest rather than just the trees. Having someone who is not attached to the choices you make, helps you make better decisions. Having someone who cares about you and finding the best solution for you helps you make better decisions and stick to them. There is magic in accountability in ensuring you get things done. I mentioned earlier some of the various businesses I dabbled in prior to settling down and making a commitment to succeed. Imagine, I had had a coach or mastermind group that I reported to on a regular basis, would it have made a difference? The same applies to you and all your dreams and goals. Following through can be tough but having someone who will hold you to account will ensure that even if you are just trying to save face, you will get your bum in gear and get moving towards your goal. This also has the effect of keeping your mind on the solutions rather than the problems. Do you know anyone that reaches a certain level of success and then they come crashing down to the bottom again? That might be you. You get somewhere with your relationships, your business, your life generally and then all of a sudden, failure is on the trail again. Nothing you do seems to last and you cannot figure out why.This is a big one for a lot of the people I have worked with and this was a big one for me (at times, I still have to work on it). The problem is, you do not always see clearly what you are doing to yourself. You look outwards for a solution and you apportion blame to your circumstances and the people around you. While you are doing this, guess what? Nothing at all changes. The cycle repeats itself and before too long, you will quit and decide ‘nothing ever works out for me anyway, so why bother?’. Stop the cycle before you do give upon yourself. Stop the cycle before it starts. Get some coaching and mentoring and take your life, your business to the next level. Some people tell me they cannot afford it and I have friends who keep dabbling at this and that, refusing to invest in themselves and their futures and the truth is, I just smile and let them get on their way. I have friends who I started the journey to financial freedom with and they are now dabbling at something else hoping to find the magic bullet. The magic bullet for me was to get coaching and mentoring and to get focused. I decided I was worth the thousands I paid for the assistance and the process of putting my money down ensured that I became invested in the solution. Listen, Lets have a FREE session together, let me tell you specifically what can change for you. You may be surprised at just how solvable your concerns are and i promise you will not have to invest thousands. Get in touch with me in the comments or by popping over to the Success Strategy page. For a short time, I intend to offer these free sessions to assist you in figuring out your next steps.